A recent HSBC study ranked Egypt as the worst country to be an expat, with its political and economic instability and rising xenophobia. According to Expatistan, which neatly breaks down cost-of-living comparisons between cities by Food, Housing, Clothes, Transportation, Personal Care and Entertainment, Cairo is 60% cheaper than Washington, D.C., the city I was living in before moving to Egypt. With heavily favorable exchange rates, foreign currencies go a long way in this country. I have a European friend – fresh grad, no solid experience – who landed a job at a reputable NGO here simply because she was a native English speaker, had interest in the subject and knew somebody who knew somebody who used to work there. She never would have been accepted for an equivalent position back in her home country. Here, the field of competition is ridiculously smaller and, thus, opportunities are greater. Yea, it’s not fair, but it’s true. The cradle of civilization, the mother of the world, home to two-thirds of the globe’s historical monuments and the last surviving Wonder of the World, centuries of rich culture and arts (from Pharaonic hieroglyphs to the graff on Mohamed Mahmoud St.), the gateway to Africa and a beacon of the Arab region… I mean, come on, there’s an entire academic subject area dedicated solely to the study of Egypt. And if you have kids, how lucky are they to grow up in the middle of all of this? For a foreigner, Egypt is filled with fascinating oddities, well-kept secret spots, off-the-beaten-path marvels – and one of the best things to do here is explore. This is great for backpackers and adventure-seekers on holiday, but even for expats the allure lasts. And for those who have been here long enough for the wonder to dissipate, a comfortable sense of home takes it place. While Egypt’s political scene is a downside for some, it’s a draw for a politics buff like me – and many others, including journalists, academics, activists and members of civil society (yes, we’re all spies). I’m incredibly grateful to be able to witness, first-hand, history in the making instead of through a TV screen showing media coverage that’s incomplete, at best, or downright fabricated, at worst. I used to hate it. But now I get it… I think. Maybe I just haven’t been here long enough yet to unlearn the political correctness that was drilled into me during my upbringing. In any case, there’s nothing like it and the Aussies and Kiwis especially love it. Another friend – total American white girl, sore thumb – tells a tale of how she had someone visiting from home who wanted to try “the famous Egyptian hashish”. True story: This girl went to Sayeda Zeinab sometime between sunset and curfew, tip-toed her way around the blood puddles in the street (it was Eid), picked a guy at random (who also happened to be selling knives) and after a nice smoke session, scored a generous finger of mind-blowing hash for 75 LE because she said it was for her tourist friend who wanted to sample the local goods. Egyptian hospitality at its finest. I feel so lucky to live in Egypt and have such gorgeous locales just a short flight (or long road trip) away. From Siwa to Sinai, Aswan to Alexandria and everything in between, this country’s natural wonders never fail to take my breath away. 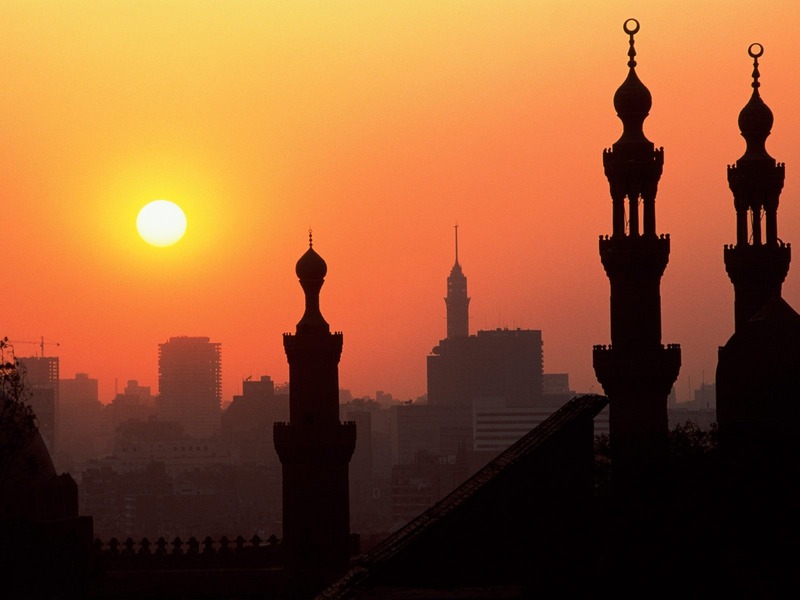 Some things Egyptians take for granted, but for most expats just aren’t the norm. Everything delivers at all hours. Forget the water cooler, the office boy will make you coffee. The ubiquitous koshk in all of its 24-hour, convenient glory. The extra 3 LE of credit you can get from Vodafone if you dial *3# when you’re running low. Otlob.com. And you can get pretty much anything in downtown Cairo. Want to change some Euro on the black market? There’s a sidewalk cafe on the left side at the end of Talaat Haarb street. Whoever’s sitting at the chair at the turn of the corner will give you the most current rates. Negotiation, obviously, is a must. My Egyptian friends would kill me if I didn’t include them (love you!). But seriously: Here, you’re treated like family. And while nothing can replace blood, no one here will ever let you sit alone, there’s always someone to call or somewhere to go if you run into any kind of trouble, and people, from your bawab to your landlady, genuinely care. WE SAID THIS: On the flip side, check out 9 Depressing Things about Living in Cairo.